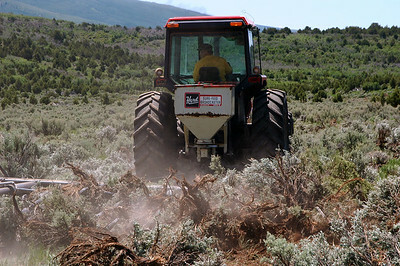 A "bullhog" grinds pinyon-juniper trees into mulch at the West Coal Creek area northeast of Price. 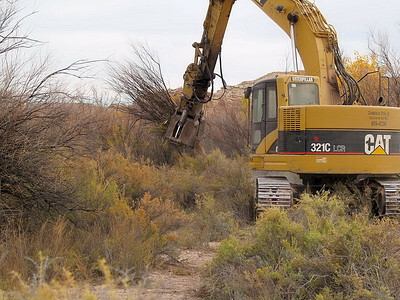 Removing pinyon-juniper is among several things land managers and wildlife biologists are doing to improve wildlife habitat in the area. 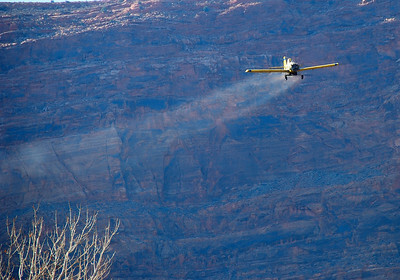 After most of the trees are removed, an airplane flies over the area and drops a mix of shrub and grass seeds. 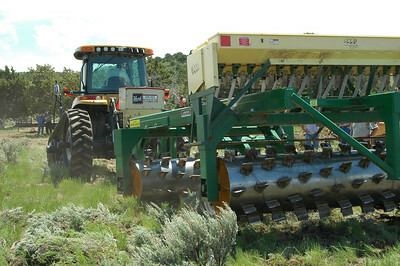 This seed mix should provide excellent forage to a variety of wildlife. 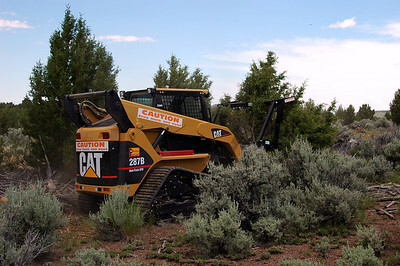 2007 photo by Brent Stettler, Utah Division of Wildlife Resources. 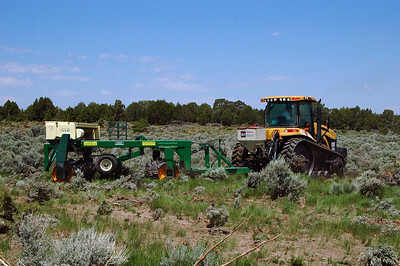 Fishlake National Forest range restoration project. Bullhogging demonstration. South from Salina Canyon. 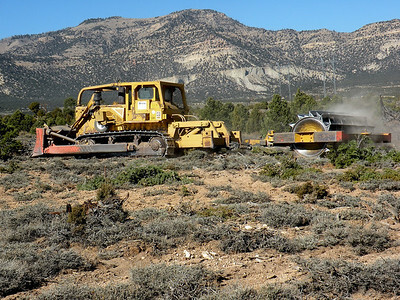 Fishlake National Forest range restoration project. 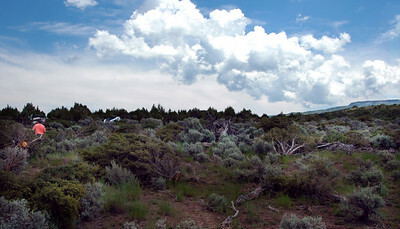 South from Salina Canyon. 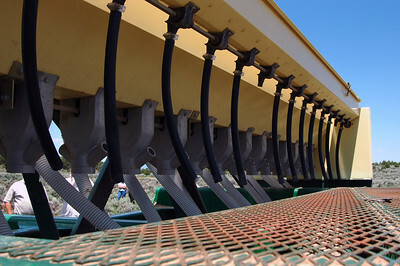 D-8 Caterpillar dozer and roller chopper. 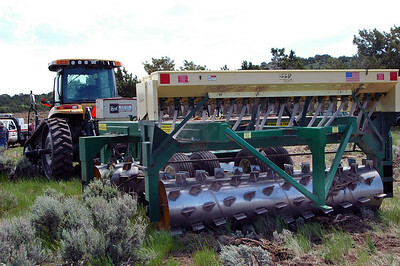 The chopper mulches vegetaton and creates a seed bed for improved seed germination. 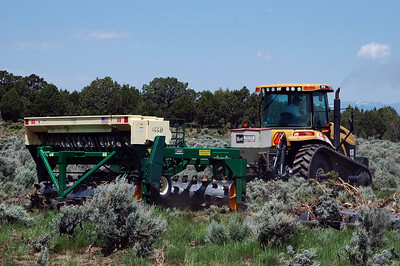 This habitat enhancement project is in the Mohrland area north of the town of Huntington, Utah. 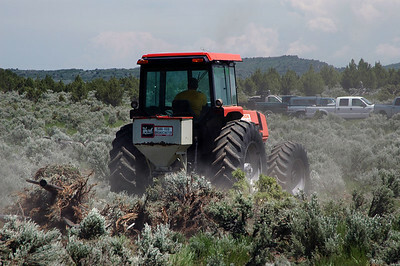 It is expected to reduce the incidence of elk-vehicle collisions on Highway 10 and lessen damage to farmers' fences and stored crops in the Cleveland area. 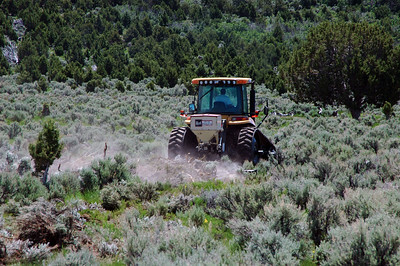 Photo was taken on 10-29-2008 by Daniel Eddington, Utah Division of Wildlife Resources. 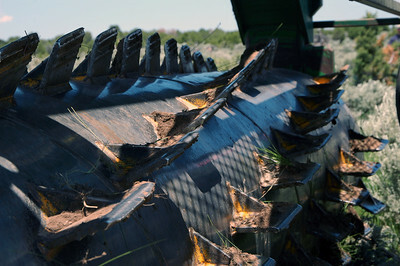 Tamarish is plucked from the San Rafael river bottom with an excavator. 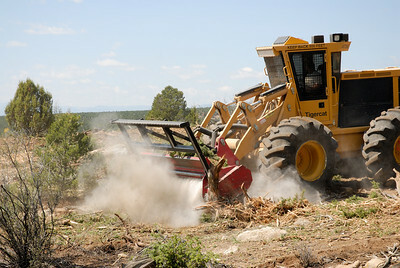 After being uprooted, the slash will be stacked and burned. 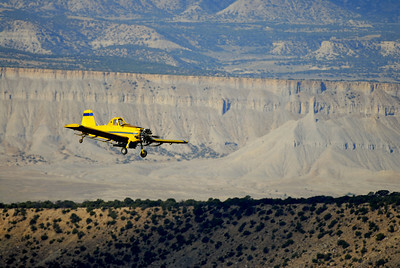 Photo taken in October of 2008 by Kenneth Breidinger, Utah Division of Wildlife Resources.